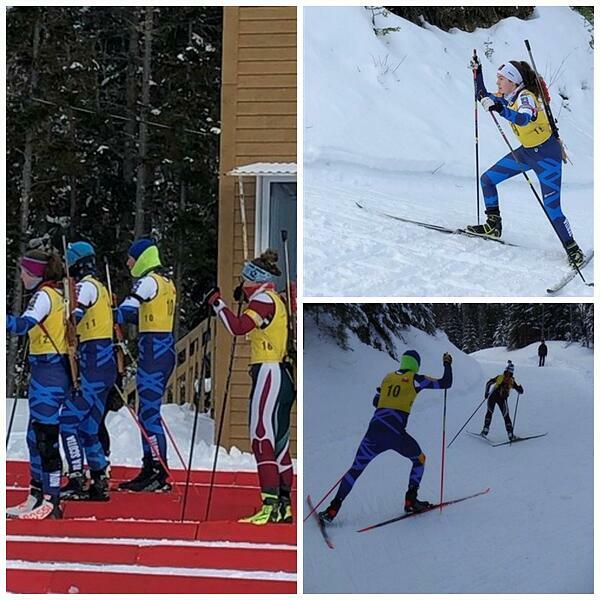 Our Biathlon athletes, Madi, Linus, Calvin, and Aria competed in our first Biathlon competition last weekend in Charlo, New Brunswick. The ever-so-normal -25 with a wind chill factor did not deter this courageous group. We were a strong presence in our new race suits and coach jackets, and the girls cleaned up: Aria MacDonald came in second for SILVER and Madison Taljaard came in third place for BRONZE in the sprint competition. Madi shot clean in her prone bout and Aria skied like the wind to beat her. In the pursuit race the next day, Aria managed second place for SILVER again. The shooting was not terrific, but Aria skied mighty fast to reach this SILVER placing. Linus and Calvin were in their own category with no other competition and both did extremely well with fast ski times for the sprint. Calvin had an unfortunate spill coming down “jaws” and was a little sore but his skis, rifle andbody were all intact. The downhill trail is aptly named! Tuesday took us to Dollar Lake Provincial Park where I instructed our newest competitors proper ski technique. With the local cross country club grooming the parkway in the park, we had a fabulous wide trail to push into the skate ski technique and glide it out with the transfer of weight. We have three teams competing at the upcoming cadet Provincials in PEI, and we need all the snow we can get. Fitness is paramount without a lot of skiable snow to train on which naturally takes us to the podium! Achievements like this make parents so proud! We find that most parents of King's-Edgehill students are happy to help out whenever they can and are eager to answer any questions prospective parents might have. 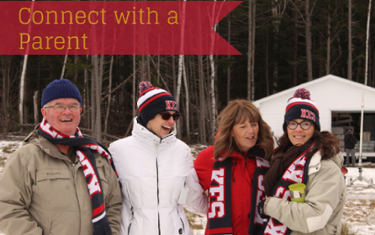 Let us know you'd like to connect.